I’m so glad Autumn is finally here! I love all the rain we’ve been having, the cooler days and even chillier nights, the warm drinks and snuggly blankets. My kids love it too, but, most of all, we love Halloween. Around the beginning of September, we start to immerse ourselves in all things Halloween. Decorations sneak out of the closet and suddenly there’s a skeletal bird perched in the bathroom, a plastic cauldron full of Lego “soup” in the kitchen, a twisted witch’s broom in the hallway (life with small children is never boring). We start watching Halloween movies (not too spooky, but just enough to add to the ambience) and every trip in the car I hear small voices from the back seat begging to listen to “Jack Skellington songs” (available on Hoopla). As the parent of a Kindergartener and a toddler, I’m naturally drawn to materials that teach as well as entertain. This one is long, but packed with information about Halloween history, traditions around the world, games, recipes, and costume ideas. My Kindergartner loves calling out the letters as we read, and my toddler loves the ABC poem and beautiful illustrations. This title is also available on OverDrive and Hoopla. Another one about Halloween history, but geared towards early readers. Using simple language, this book discusses the traditions of the holiday (apple bobbing and fortune telling, anyone?) as well as those familiar Halloween icons: ghosts, witches, and black cats. This title is also available on EBSCOhost and Hoopla. Speaking of black cats, my toddler LOVES this one as she thinks every picture is our own house panther, Nyxie. It has lovely photography and simple facts about black cats and their connection to Halloween. There are several other books in this series, including one about Jack-O’-Lanterns and one about Trick-or-Treat Safety. This title is also available on EBSCOhost. I dare you not to sing this with a cheesy Bobby “Boris” Pickett accent! The illustrations in this book never fail to make my kids giggle. Fun and silly monsters—not too scary for littles—on every page, making their way to the Monster Mash. Afterward, we listen to the song and pretend to be the monsters we saw in the book. What Halloween party is complete without some on-theme music? 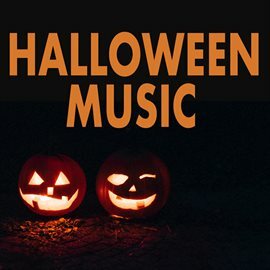 This is a great playlist for any Halloween activity, whether it be a Monster Mash or just handing out candy. I checked this book out several years ago and enjoyed it so much, I bought my own copy. Without sugarcoating, it covers the evolution of the holiday from its Celtic roots to the heights of Halloween nostalgia in the 20th century. I found the chapter outlining the razor blade panic of the 1980s especially fascinating as well as the resultant change that reshaped our Halloween traditions into what they are today. This title is also available on EBSCOhost.